If you ask people in Silicon Valley what makes it work, they will talk about many things — the ability to fail, the lack of hierarchy, the culture of competition. One thing almost no one mentions is the government. And yet, the Valley’s origins are deeply tied to government support. The reason there were so many engineers in California in the 1950s and 1960s was because large defense companies had attracted them there. Most of the legendary start-ups that fueled the computer revolution — Fairchild Semiconductor, Intel — got off the ground largely because the military, and later NASA, would buy their products until they became cheap and accessible enough for the broader commercial market. GPS, the technology that now powers the information revolution, was developed for the military. And then there was government funding for research, which is sometimes thought of simply as large grants to universities for basic science but often was far more ingenious. My favorite example comes from Walter Isaacson’s fascinating new book, “The Innovators.” In the 1950s, the U.S. government funded a massive project at MIT’s Lincoln Laboratory, employing equal numbers of psychologists and engineers who worked together to find ways “that humans could interact more intuitively with computers and information could be presented with a friendlier interface.” Isaacson traces how this project led directly to the user-friendly computer screens of today as well as ARPANET, the precursor of the Internet. 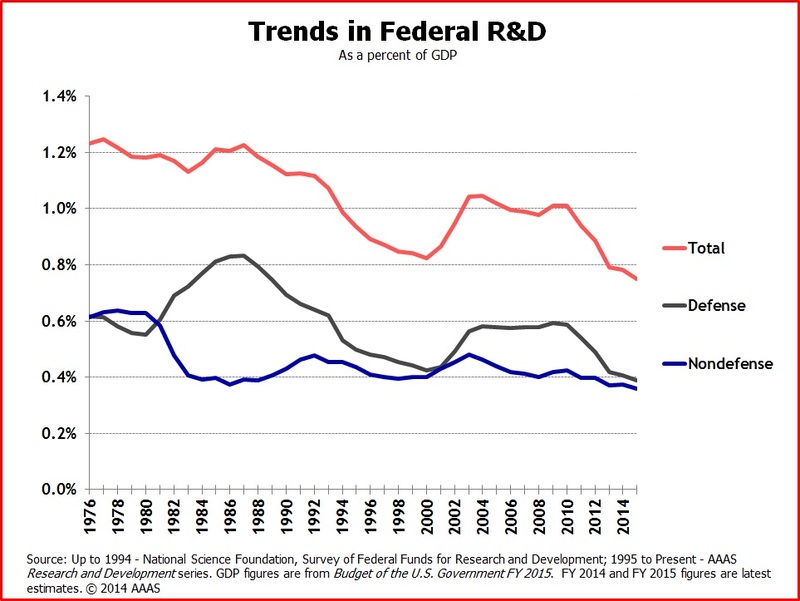 Federal funding for basic research and technology should be utterly uncontroversial. It has been one of the greatest investments in human history. And yet it has fallen to its lowest level as a percentage of GDP in four decades. Kaali Maa just s ukked my cok. She licked every ounce of sperm. S ukked my bollz to a pulp. I am a donkey f ukking black colored hindoo k unt licker. Hindoos from India love to shove Lird Shiva's d ik up their a zzes. They call it pooja. Lird ganesha just shoved his s nout ip his own a zz. Hindoos call it self actualization. I cann it f ukkin the hindoo self. India's national sport. Those mutter phukkers with a terrible BO. Apple Pie is to Americans what gang raipes are to Indian Hinddooze. If it was up to hindus they would be raiping apple pies also. Pundits in India come to our homes and f ukk our hindoo muthers in India. It is part of pooja. Gandhi used to tickle Churchill's balls and lick his a zz. Then come home and shove his donkey's long d ikk up his hindoo a zz.that was in India where people eat s hit for pancakes. Lol. Where them hinduz go? Lmfao. Those ones from India with nasty BO. Lord Shiva just bent Modi over and inserted his d ik up his a zz. I am not a plumber but the only way to solve the raipe epidemic in India is to reroute the hindu male urinary tract to rear orifice. Thus enabling the butchering of the weiner to be fed to Russians/Ukranians. Why do hinddoos from India smell like skunks? Bcause they eat s hit. I don't want to hear about India. But I want to hear about kama sutra. About rhaypes that hindoos do. About their cannibalism. About how they burn girls. I eat banasy's sh it. Why hindoo pkluck camels and goats. Stay away from Indians. There is swine flu going around in hindoo DNA. I su ck Philip's a.s.s.z. What! No Philip. You're an old c unt. It breaks my heart to read these comments. A terrible start to 2015. Please don't use other's IDs... Use mine if you have to camouflage your nasty comments. I be your huckleberry. OMG! I am heartbroken that anyone would post such inappropriate comments. Truly sad. This is my first comment. I feel very uncomfortable. Yup it happens to virgins. Git your himen broken.